​This annual contest is held in honor of Frederick Goddard Tuckerman who lived in Greenfield from 1847 until his death in 1873 and was considered by his contemporaries — Emerson, Thoreau, and Tennyson — to be a gifted poet. A graduate of Harvard Law School, he shunned law in favor of botany and writing poetry. Although he never achieved wide public acclaim, his poems are often included in anthologies of noted American poets. 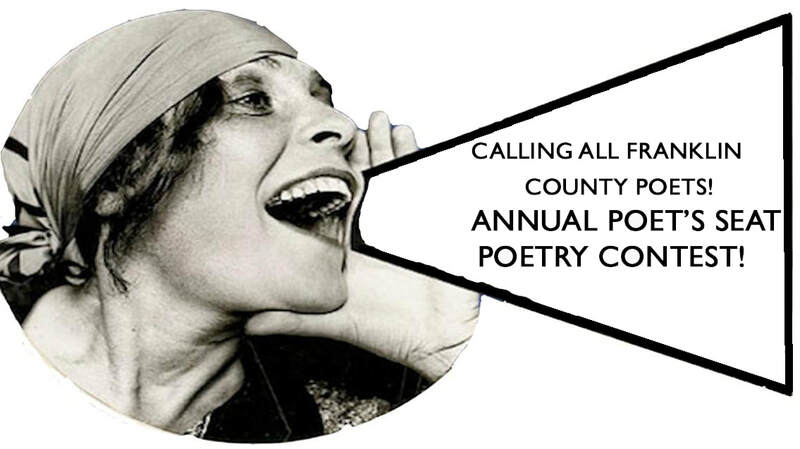 Our annual contest is open to residents and students in Franklin county in two categories: adult and young poets (ages 12-18). It culminates with the Poet's Seat Poetry Contest Celebration at which poets read their work and winners are announced. Each year, potters from the Asparagus Valley Potters Guild craft the first place award platter and mugs for all other winners. The first place winner also takes home the Poet's Chair for the year (see information about the Poet's Seat Poetry Contest Silver Anniversary Edition Book).